If you contact us via the form on the website or by e-mail, you consent to the entry of your personal data which you communicate to us until revoked. Your data will be processed by us for the purpose of processing your request and in case of follow-up questions and will be kept for as long as they are necessary for our business purposes and / or legal requirements. We will not share this information without your consent. Our online booking tool is in collaboration with Seekda – Cognitiv Global Corporation, located at 199 Bay Street, Suite 4000, Toronto, Ontario, M5L 1A9. Our website uses so-called cookies. These are small text files that are stored on your device via your browser. They do no harm. Our website uses features of the web analytics service ‘Google Analytics’, a web analytics service of Google Inc, located at: 1600 Amphitheater Parkway Mountain View, Ca 94043, USA. For this purpose, cookies are used to analyze your use of a website. The information generated thereby is transmitted to the server of the provider and stored there. On our website we have so-called “embedded” social media plug-ins. When visiting the website, the system automatically establishes a connection with the respective social network due to the integration of the plug-ins and transmits data (IP address, website visit, etc.). The data transmission happens without the intervention and outside the responsibility of us. You can prevent them from data transmission by logging out of the respective social networks before visiting the website. Only in the “logged in” state, the social network can assign specific data to the user’s activity profile through automatic data transfer. The automatically transmitted data is used exclusively by the social network operators and not by us. Further information on this, including the content of the data collection through social networks, can be obtained directly from the website of the corresponding social network. There you can also adjust the privacy settings. content, such as Requests that you send to us through this website, SSL encryption. An encrypted connection can be recognized by the address line of the browser, which changes from “http://” to “https://” and the lock symbol in your browser line. Basically, you have the right to information, correction, deletion, restriction, data portability, revocation and objection regarding your stored data. If you believe that the processing of your data violates data protection law or your data protection claims have otherwise been violated in a way, you can complain to or to the Data Protection Authority. Within the scope of obligations to cooperate, we are obliged to provide data in accordance with the statutory provisions (eg BAO, Meldegesetz, ZPO, StPO, …) on request. As part of our responsibility to cooperate, we are obligated to provide data as stipulated by statutory regulations (e.g. Austrian Federal Fiscal Code (BAO), Austrian Registration Law (Meldegesetz), Austrian Code of Civil Procedure (ZPO), Austrian Code of Criminal Procedure (StPO), etc) upon request. First and last name, full address, all contact information (e.g., e-mail address, telephone number), information about the type of agreement and its content. Date of birth or age, marital status, gender, profession, identity card details, bank details, subscription or representation authorization, contractual commitment, cancellation deadlines or other personal information that you have provided yourself. Name, date of birth, gender, nationality, country of origin, address and postal code and – for foreign guests – the type of travel document traveling with, its number, place of issue and issuing authority and the date of arrival and departure. We administer the guest register electronically and forward the data to an IT processor, where the data is stored locally. A transfer to a third country does not take place. The data categories “Arrival”, “Departure” linked to the country of origin are forwarded to the municipality in which our accommodation is located in accordance with § 6 Tourism Statistics Regulation. 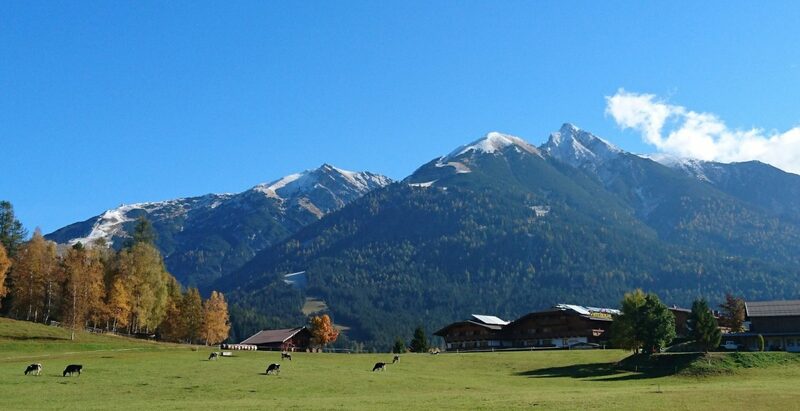 The relevant tourist office Olympiaregion Seefeld, to which we belong, and also aggregated data on the number of total overnight stays and the persons who are required to pay the local tourist tax. This is done in accordance with § 9 of the Tyrolean Regulation on Local Tourist Tax (Tiroler Aufenthaltsabgabegesetz). The processing in accordance with points 1.1 to 1.3 above is based on Art. 6 para. 1 lit. c DSGVO (fulfillment of legal obligation). In addition, we forward your postal code and year of birth (in pseudonymised or anonymised form) to our community and our TVB for statistical purposes to compile and evaluate the source and age statistics of the Tourist Board. This transfer is based on Art. 6 (1) lit e (task in the public interest) and lit f (predominant legitimate interests) GDPR. On the other hand, they may appeal at any time for reasons arising from their particular situation (Article 21 (1) GDPR). You have the opportunity to use a guest card. The guest card offers discounts and / or services by various companies in the region (for example, reduced entry fees). The guest card is valid for the duration of your stay with us. First name, last name, date of birth and length of stay (arrival / departure), country of origin, zip code. You may revoke your consent at any time by notifying the accommodation provider verbally or by sending an email to the following address: karin@seefeldchalets.com. To claim discounts, you must present the card containing this data to the service provider. The establishment then checks if the card is (still) valid, usually by scanning the barcode on the guest card and then by transferring the barcode data to our IT processor. At this time, personal data is also transferred to the establishment, in particular, data about your identity (to verify identity and date of birth).